Hey guys! As most of you know, I’ve been posting rather sporadically for the past couple of months. However, I most definitely did not stop reading, and as a result, I’m EXTREMELY behind on my reviews. Since many of the books I read at the time were for the COYER challenge, a lot of them were also review requests and ARCs, so it’s definitely important to me that I do review them. However, even if I reviewed a book every day, it would still take me ages to catch up. And thus, Nano-notes is born! I want to write mini reviews for a group of books in some kind of category, and keep it around 250 words! 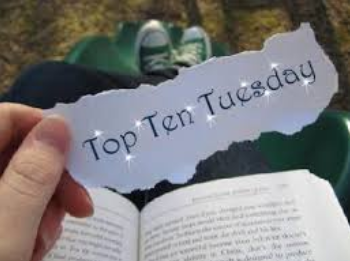 Today’s topic is…. Lo-Melkhiin killed three hundred girls before he came to her village, looking for a wife. She knows he will want only the most beautiful girl, which will surely be her sister. And so she devises a trick, that he might take her instead. She arrives at the palace already mourning the loss of her own life. But her first night passes, and she is not dead. Night after night, she tells her stories, and each night, Lo-Melkhiin allows her to live to one more sunrise. As she starts to explore the palace, she begins to realize that Lo-Melkhiin was not always this way. She begins to spin, slowly learning that she can create things. At first, it is only small things. But her power grows every day, so much that she begins to believe in her magic, realizing that if she can only live long enough, she might have enough magic to save even a king. The writing in this book is just so magical. A horse can get you somewhere quickly, but you cannot carry very much with you. A camel will take its time, but it will also carry your house if you ask it nicely enough. The narrator has such a beautiful, well-thought-out voice. The fact that the only (main) character given a name is Lo-Melkhiin only adds to this feeling. It seems strange that this is the case, for as the book goes on, it certainly feels like you know the characters quite well. But their names are never revealed. But I would rather be patient and learn things in their own time, than force knowledge where it causes destruction. The family dynamic was… interesting? Obviously, the characters in this book live in a very different society than we do today. Her father has two wives, and she does talk about her sister’s mother quite often, and fondly, although she is closer to her own mother. Her father has only spoken to her and her sister a few times, and it is not very obvious to them whether he loves them for a good part of their lives. However, the whole (tribe? clan? I don’t remember!) tribe spends time together and works together. It makes for a very interesting dynamic and feel to the relationships in the book, and it was rather difficult for me to relate to. I was never really sure whether the multiple wives were happy? I hope so! And you thought the stepsisters were wicked…. This book is so different. Ironically, with its “dark” title and story, it has a very light, easy writing style. It’s so intriguing to see Cinderella as someone who is, er, not the purest of souls. She acts sweet and helpful around her stepmother and stepsisters because her fairy godmother gave her an incentive to do so: a serum that would let her become whatever she wanted. Cinderella being evil, she has obviously abused this gift. She uses it in small doses, to slowly but surely make herself stunningly beautiful. She used to be a rather normal-looking girl, but with the help of the serum, she has become impossibly gorgeous, and turns heads just by walking down the street. You rejected a little girl who just wanted to be loved and made her walk a path of loneliness. There are no words for that kind of cruelty. You utterly disgust me. The revenge motive was intriguing! It makes a lot of sense that Cinderella would be driven by her desire for revenge on her step-family. In the Disney version, she is somehow absolutely pure of heart, and even after the slavery her steps have put her into throughout the years, she still feels sorry for them, and simply wants to meet the prince and go to a beautiful ball. It makes so much more sense that she would hate her steps, and go after the prince with intentions of revenge. And I just have to say; that ending was brilliant! Most of the characters look extremely similar to how I pictured them, not including Kai (No idea why, he just looks strange to me). They definitely add an amazing element to the story. All of my babies are just… Sigh. I love the whole gang! Cinder is totally awesome, obviously doing well taking care of the kingdom. Kai and Cinder are so blushy talking about each other, which is totally hilarious. Cress and Thorne are just plain goofy. Their romance always puts a smile on my face. Winter is so supportive, and Jacin is entertaining. Scarlet and Wolf are WAY TOO CUTE. TOO MUCH. My poor heart. And of course Iko is so lovable! Iko is never recognized for her part in the gang because she’s an android, so she understandably feels lost and out of place. It’s bittersweet to watch her trying to make herself known! Okay, that was long. Sorry about that guys! I’m still working on it. Feel free to leave me tips down below! ‹ PreviousAll the Bright Places: More accurately, me being a giant mess! There’s so little time to do everything we wish to do, especially when it comes to blogging… So this is definitely handy! Loved today’s topic, of course 🙂 I look forward to more of these! Thank you so much! I’m glad to hear you think so. Oh good! 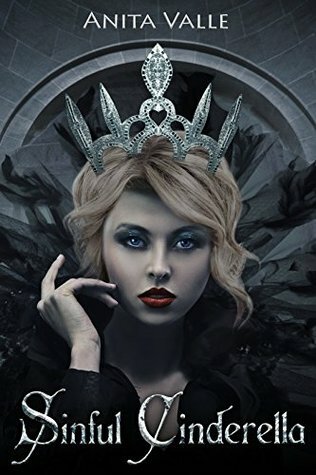 I have Sinful Cinderella and I was hesitant to read it! Now I’m excited! Love this format!! Yay, I’m so glad to hear that! Thanks! I love your collage!! So pretty and aesthetic. 😍 As for these books, first of all I love retellings! I’ve only read the first book you mentioned here but I totally agree. 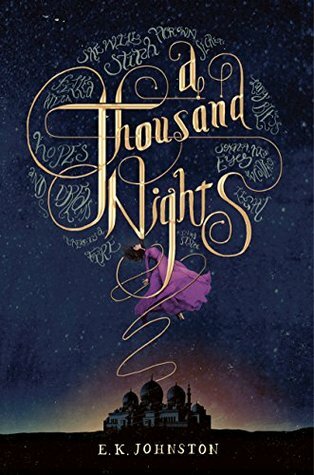 A Thousand Nights was just so magical and had lovely writing! It took me a while to get through it, but mostly due to lack of time ahah. I’ve never heard of Sinful Cinderella! But your mini-review makes it sound so good and so intriguing, definitely going to add that to my TBR. And ahhhhh I’m SO excited to read Wires and Nerves!! 😍😍 So many people love it, I adore the Lunar Chronicles (and IKO), how can I resist this book?? ❤ Love this post!! Yes, the writing was just so rich! Hahaha SC is super short and not very well known, I’m sure you could get through it quickly! And YESSSSSSS I KNOW RIGHT. It’s fabulous. And after reading this book, I was curious if this was the only series she was working on right now…. Apparently she’s got a book called renegades coming out next! I have Iko’s book on reserve at my library and I’m sooo freaking excited for it!! IKO!! THERE IS NEVER ENOUGH IKO!! 😀 😀 Hopefully it comes in fast because I need it haha.😂 So glad you enjoyed these! I was so lucky; it was just sitting there. My mom was actually telling me to put back a few of the gazillion books I had gotten and I was… And then i saw it and I was just like MY BABY I MUST HAVE. 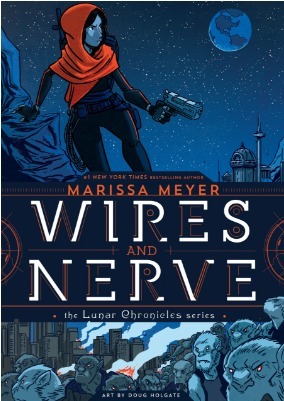 Oooh, I just got Wires and Nerve from the library, can’t wait to get my hands on it. I so love retellings! Omg yay! Me too. 🙂 have you read the original series? Yes, and I love it! One of my favorites. I’m half way through Wires and Nerve now and am loving it. The only problem is it’s going by way too fast. IKO!!! Yes! I read Wires and Nerves, and I absolutely adored the drawings, though I did want a little more of Scarlet and Wolf. I do feel that I need to reread the series, because that would be a ton of fun!